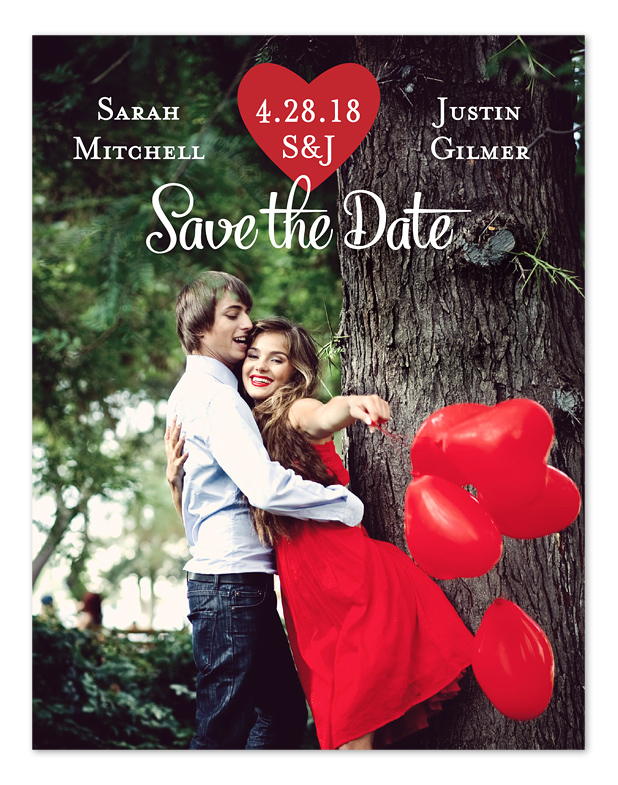 Have you been perusing a lot of wedding invitations lately? If you haven’t found “the one” perfect design, then you will love our special find. 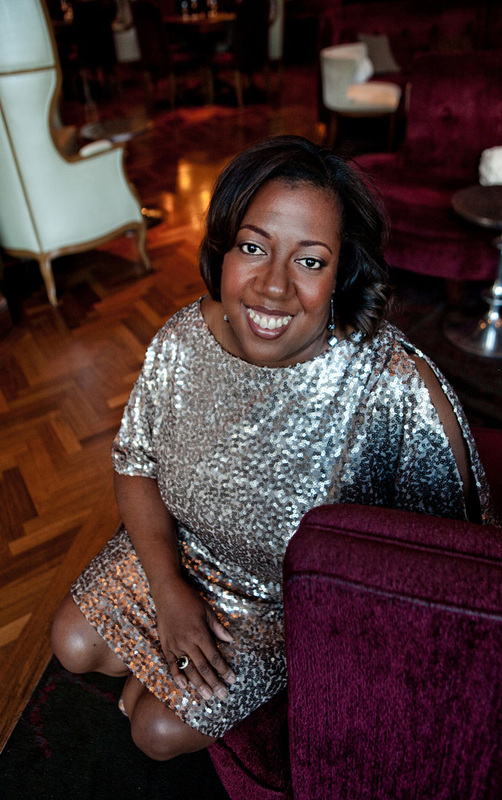 When we discovered the work of Kristy Rice of Momental Designs, we were elated! How nice is it to have someone hand-paint a gorgeous design of your dreams on your own wedding invitations. The Momental girls put a lot of love into every invite they do, they sit for hours adding the perfect touch to each wedding invitation. The more we saw, the more inspired we got. We’re sure you’ll feel the same when you browse Kristy’s fabulous hand-painted wedding invitations. Can you almost smell the flowers on this one? The delicate brushstrokes and vivid colors make us long for the days of summer when outdoor weddings, sipping on champagne and tossing our bouquet of flowers towards all the single ladies, makes the perfect day. Who doesn’t love lace? This rendition of “Lacey Leaves” offers soft pastels against a luxe gold border. It’s so pretty, don’t you think? We’re falling in love with these fine art paintings on such a relatively small canvas. How many people can say they had their invitations hand-painted? Did you ever consider how tree branches and leaves can form beautiful, intricate lace patterns? This particular design combines both painted and illustrated methods in a nature setting. No doubt, this design would be perfect for an outdoor wedding. Celebrities like Amber Tamblyn and David Cross had an outdoor wedding. 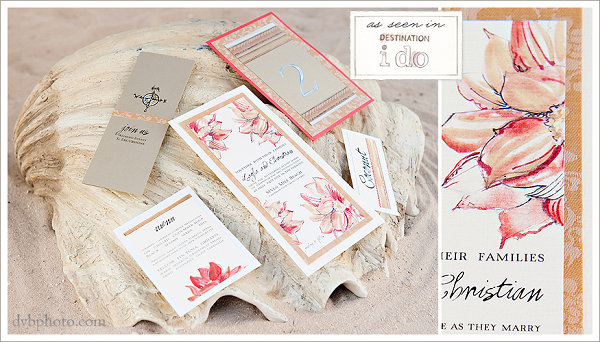 Beach wedding invitations call for a blend of lighthearted whimsy and refined elegance. 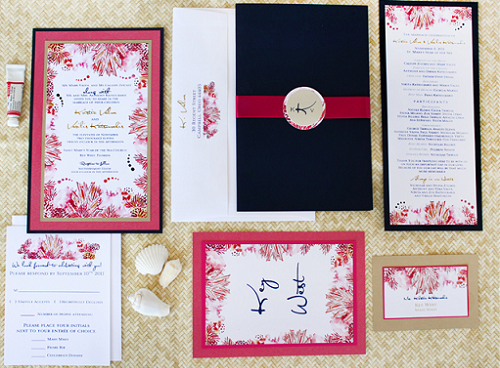 This gorgeous exotic and calm-evoking invitation is perfect for beach weddings and tropical destination weddings. This “Versaille” design takes advantage of gold and floral hues. These look like colors that red carpet queens Hilary Swank and Beyoncé could love. The swirls and fiddlehead-like curls suggest nature’s beauty in the coordinating gold opulence. Have you always been a fan of Alice in Wonderland? 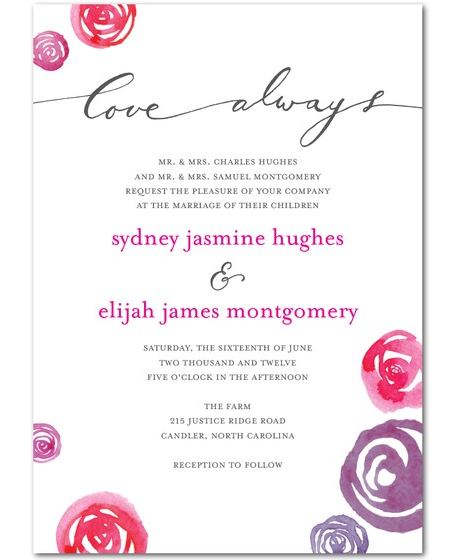 This design brings the whimsy and beauty of this classic story while incorporating perennial favorite wedding florals and hues. We can almost smell spring’s renewal as we imagine fresh-cut grass and fragrant blooms. The touch of green is a great way to incorporate this year’s color trend. Kristy’s stationery designs captures the “Momental” moments that are fleeting yet profound. Having your wedding invitations painted and customized entirely will add that extra special touch that your wedding guests will remember. Imagine their faces when they open up your hand-painted invitations for the first time! Photos: Courtesy of Momental Designs.